Well, Google Labs have brought out a nifty utility called Google Notebook. It allows you to keep notes that are accessible from anywhere. 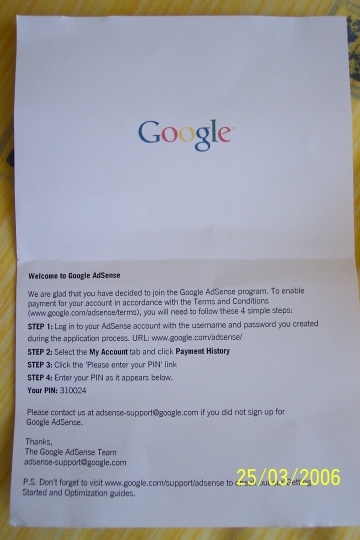 They sent all their Google Adsense users a verification pin to verify that there are real people at the address given! Something about fraud and what not. That must have been quite a mailing list! The Google Adsense Pin number provided is just a once off to verify that you are real and alive. Google adsense is pretty cool, and extremely easy to use.